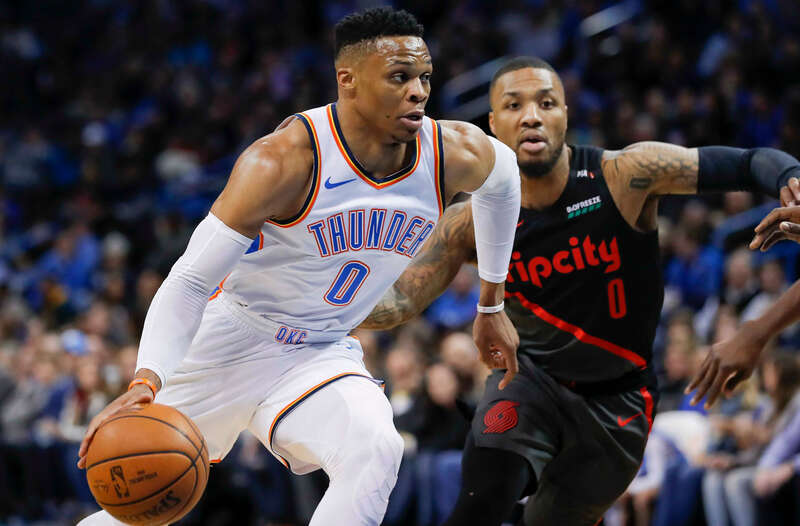 With less than a third of the 2018-2019 NBA regular season left to play, we check out the futures odds for NBA MVP. The NBA hasn't played a single regular season game since last week but the MVP odds have still managed to shift, with Giannis Antetokounmpo gaining significant ground on James Harden. 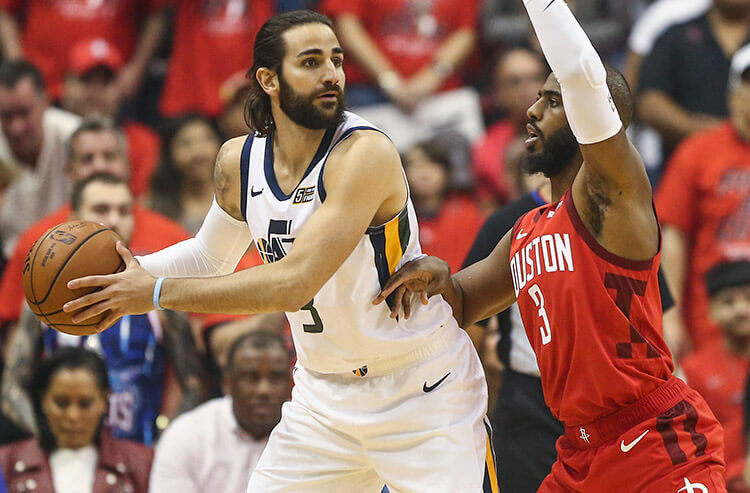 We look at the case betting for and against Harden. In Mid-December the race for the MVP trophy seemed like it had several serious contenders including Antetokounmpo, LeBron James and Kawhi Leonard. At that point in the season the Rockets were 12-14 and Harden had averaged a very impressive but still human 30 points per game. Then Harden exploded for 50 points, 10 rebounds and 11 assists against the Lakers, and he hasn't slowed down since. The Rockets then reeled off nine wins in their next 10 games to vault themselves back into the playoff picture and Harden's scoring has been nothing short of amazing, putting up 41.5 ppg in his last 31 games, beginning with that triple double against L.A.
Those scoring feats initially separated Harden from the rest of the pack in the futures odds for NBA MVP. However, after the All-Star game things have changed with the Bucks Antetokounmpo jumping back into strong contention for the award. Eric Osterman, manager of the SuperBook broke down the shift in MVP odds for us. "We see the MVP race as a pick 'em now, after Giannis' performance in the All-Star Game," Osterman says. "With the perception of what he did on that stage. If he continues to play like that, we can see voters giving him the edge, or at least have him at equal value to Harden." 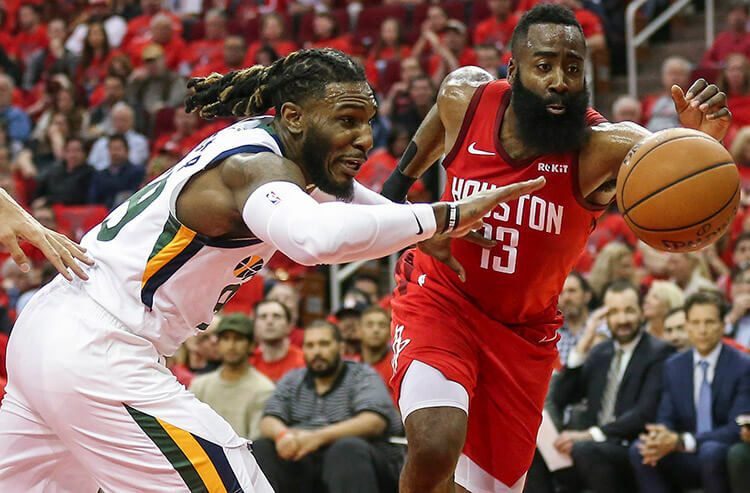 With the MVP race starting to look very close, we take a look at the case betting for and against Harden's chances to take home the hardware for the second year in a row. While Harden's 36.6 ppg average is absolutely staggering, there is actually a historic trend of absurdly high-scoring seasons not being rewarded with MVP trophies. Before this year, only 10 times in NBA history has an NBA player averaged 35 or more points per game over a season. In just two of those years (Wilt Chamberlain in 1960 and Michael Jordan in 1988) did that player also take home the MVP trophy. One of the biggest factors that contributes to a player being awarded the MVP award is team success. Over the last 35 years, 33 MVP winners were on teams that finished with the No. 1 or No. 2 seed in their conference. The only two exceptions to that were Russell Westbrook two years ago, and once again Michael Jordan in 1988 (and Jordan's Bulls team was a No. 3 seed). Currently Harden's Rockets team is fifth in the Western Conference, just one game ahead of both San Antonio and Utah in the standings. If Houston falters down the stretch and finishes with the sixth or seventh seed, do voters start second-guessing Harden as the MVP choice? If there were no other players truly deserving of winning MVP this year, this would be an absolute lock for Harden regardless of the points raised above. But the truth is Antetokounmpo ticks all the boxes for an NBA MVP. The Greek Freak is averaging 27.2 ppg on 58.1 percent shooting, along with 12.7 rpg, 6 apg and plays excellent defense while leading a surprise team to the top of the NBA standings. If Harden wins this year it certainly won't be for lack of competition. No, Harden isn't going to be mistaken for Gary Payton anytime soon but he's also not the defensive joke he was for much of his career. He's third in the league in steals per game with 2.2 this season and has come up with key defensive stops in crucial points of close games. It's not just about raw numbers in today's NBA, it's about advanced metrics as well (which is kind of why Carmelo Anthony can't seem to find a job these days). When it comes to those, Harden's scoring becomes even more impressive. Harden has a true shooting percentage of 62.2 this season. By comparison in Jordan's two seasons with 35+ ppg his true shooting was 56.2 and 60.3 percent. In Kobe Bryant's 2006 season where he averaged 35.4 ppg his true shooting was 55.9 percent. Harden isn't just scoring an incredible amount of points, he's doing it efficiently. Unlike many of the other MVP candidates, like Paul George, Stephen Curry and Kevin Durant, Harden hasn't had much help around him. Harden went on his record-breaking tear only after Chris Paul was sidelined with an injury and he's also played much of the year without Clint Capela as well. He's often had to put the Rockets on his back for extensive stretches of games and frankly the Rockets would be well out of the playoff picture if not for his ridiculous scoring. "What we're thinking is Harden's style of play isn't conducive to what voters think of for an MVP," Osterman says. "Giannis has the complete game, and that's what voters look at. 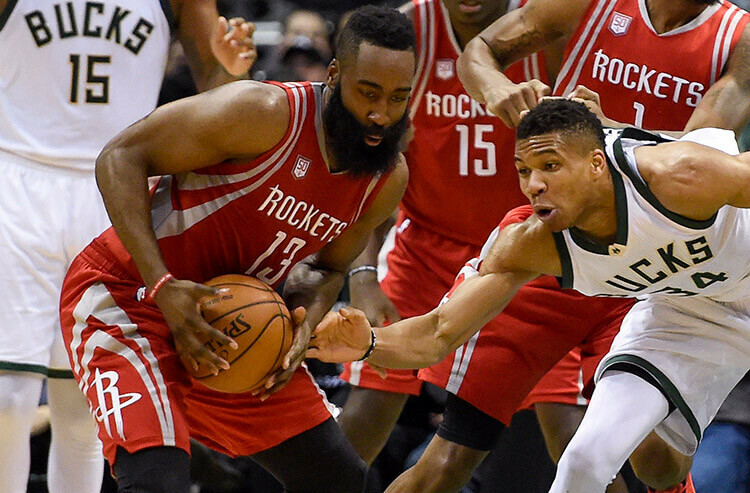 We weren't taking any bets on Harden at -250, and we were seeing money on Giannis." The last sentence from Osterman is telling. Part of the reason for the sudden and drastic change in odds is that few bettors were willing to back Harden on that line. We weren't too keen on taking Harden at anywhere near -250 either but at these recent odds things are looking much better for those liking Harden's chances. While previous legends were snubbed for the MVP award in extremely high-scoring seasons, Harden has been more efficient than all of them. When it comes right down to it, Harden's feats have been the biggest story of the season so far and he is without a doubt the most likely player to win MVP, barring an injury or end of season team collapse. When looking back on recent history one of the biggest mistakes that MVP voters made was chooing Steve Nash over Kobe Bryant and his 35.4 ppg in 2006. This time we think they get it right and take Harden and his once in a generation caliber of performance.